The Rebel Sweetheart. 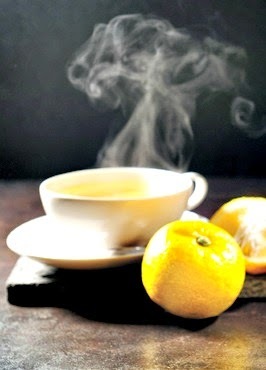 : Foodie Goodie | Yujacha (Honey Citron Tea). Normally, I would not blog on a weekend especially when I'm sick. But I just had to blog about this Honey Citron Tea, which I'm sipping as I write. One of my readers asked me about it (she probably saw my post on Instagram the other day) so here it is. 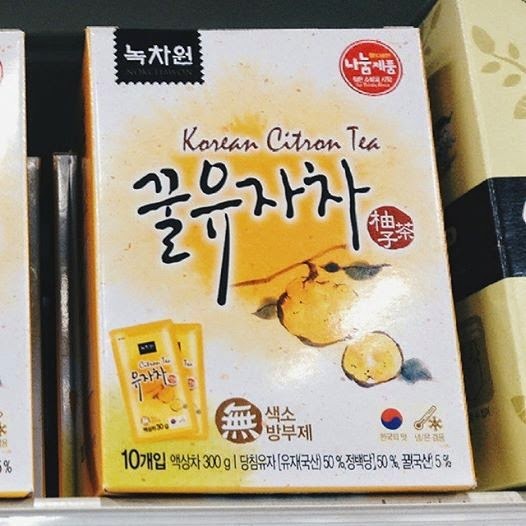 A traditional tea in the Land of the Morning Calm, Yujacha has been used for hundred years in Korea, and is a well-known stress-reliever and a cure for colds. They say it's also a cure for hangovers. 1. Wash the fruit well in cold water. 2. Peel then remove and discard any white remaining on the fruit. 3. Cut peel into thin strips. 5. Place fruit and peel in a bowl in layers, covering each layer generously with sugar. 6. Cover and let stand at room temperature for two to four hours. (Sugar should be dissolved or be transparent). 7. Place in a jar in layers, drizzling honey over each layer, and close tightly. Refrigerate for one week. Add 1 tablespoon of the syrup-like mix to one cup of boiling water. Oh being sick STINKS!! But this cup of tea sounds just like what the Doctor would order! Might have to give it a try! My hubby loves tea! Showing him this recipe! I hope you feel better. I like drinking warm tea or coffee when I'm congested. That is good to know! Get better soon! I like when tea has citrus in it. I hope you're feeling back to 100% soon. I love tea. We vegans don't eat honey because it comes from animals. I just got some stevia to see how that goes, so I could substitute. Hope you are feeling better. I will have to try this tea. i hate being sick. This tea looks really good. i'm going to have to remember it the next time i don't feel well. I do hope you are feeling better now and back on track. The tea looks really good and I could use some now.